Non-stop flights from Fort Lauderdale to Paris, France for only $343 roundtrip. 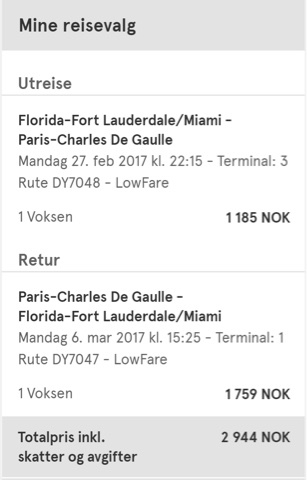 Also works in reverse (for €311 roundtrip). Use Google Chrome to translate the Norwegian booking site if needed.